Looking Past the Hype, What’s a Trump Presidency Mean for the Markets? Now that the Trump crash (albeit when most of us were sleeping) and the Trump rally (albeit a short covering rally) have come and gone let’s get past the hyperbole and look at some factors that will most certainly affect the markets during the next four years. Regardless of who won the election, demographics will continue to be a major headwind pushing down GDP growth potential. Not only are the boomers aging and moving into their lower consumption years, but the larger millennial demographic have either eschewed completely or delayed the traditional move to the suburbs with a new family in tow. While there is the potential for a new baby boom, bigger than the post WWII boom it’s not a sure thing with a generation more motivated by career growth, potentially extended life expectancies and “experiences” along the way. The result, as seen below, is that our population (without immigration) is no longer growing. And the U S is not alone. Every industrialized nation plus both China and Russia is facing a shrinking population. While annual growth rates for the stock market and annual growth rates for GDP do not correlate, over the long run the stock market and GDP must move together. The graph below depicts the annual level of U S GDP with the Dow Jones Industrial Average. You can see that while the stock market can be volatile, it does trend to the same level as GDP. And currently, there isn’t a lot of room for the market to rise relative to current GDP. period and is projected to drop by another 2.2 percentage points between 2010 and 2020. Lower population growth, low productivity, and declining labor participation rates are not an economic head wind, it’s a hurricane! Let’s look at our dept and the hurricane turns into the perfect storm. Looking at the chart below you can see that about half of all our outstanding debt will come due over the next 10 years. Mr. Trump has been very critical of Federal Reserve policy that has kept interest rates at historic lows for years. Even though the Fed is supposed to be independent of government policy, his stance has certainly opened the gate to future Fed rate increases. Assuming just a 1% increase in the Government’s cost to borrow and rounding up to account for Mr. Trump’s projected deficits, adds approximately $50 billion a year to interest costs. Adding 2% and bringing interest rates to more “normal” historic levels adds $100 billion…a year. Looking at the chart below, you can see we are already spending more on interest expense than all but four other budget categories. More debt and higher interest rates mean higher interest expense as a percentage of our entire budget continues to grow and makes it harder for economic stimulus through deficit spending. The U S economy generated $17947 billion US dollars in 2015. That means every 1% in marginal GDP growth adds $179 billion dollars to the economy. This more than offsets the drag that will be created by rising interest rates. While the variables are too many to really try and weigh the pros and cons of interest rates, tax policy, deficit spending, etc. there is reason to hope that at worst GDP growth accelerates at a modest rate. Over the long run, the next 10 to 20 years GDP absolutely has to grow to continue to offset the drag from higher debt, and the increasing costs of government mandatory spending. Tax cuts do stimulate the economy. The Office of Management and Budget (OMB) estimates revenues at 19.1% of GDP for FY 2017. That’s close to the historical 19% target. Back of the napkin calculations say that if taxes were cut by 5% that would add $1.75 trillion to the economy. If GDP were to increase by just 1% as a result, the annual deficit would not increase. But $1.75 dollars added to the economy can create a lot of jobs. While both Presidents Bush and Obama have been criticized for their deficit spending, with anemic economic results, an argument can be made that the numbingly tepid growth was just the best the economy could do. So while there are reasons to believe the combination of tax cuts and spending will give a boost to economic growth. If so, where are the best places to invest? Below is a heat map of exchange traded funds, showing the one week return after the election. Dark red are losing ETF’s and green those with positive gains. Clearly international of all regions, fixed income and gold have been the biggest losers. Domestic stock sectors real estate, technology and utilities have taken it on the chin as well. Small Caps are outperforming Large Caps. Despite the selloff of many dividend paying stocks, I still believe that dividends provide a solid source of return should economic growth not materialize as hoped. But using the heat map above I’ve focused on mid and small cap dividend payers. I also think any technology selloff is overdone. If a tax holiday is passed for foreign cash stocks like Microsoft, Cisco, and Oracle stand to benefit. And they pay a nice dividend while we wait and see what unfolds. Banking should be a long term beneficiary as there will be major revisions to Dodd Frank. But I’m a little leery of healthcare until seeing what the “replace” part of repeal and replace (referring to ObamaCare) actually looks like. The bottom line is that the future is always uncertain. I really don’t think today is any different than any other day. Crystal balls are always misleading. But there are undeniable trends that need to be watched and accounted for. Mr. DeShurko is a registered representative of Ceros Financial Services, Inc. (Member FINRA/SIPC). 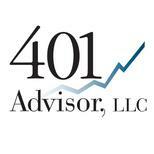 Ceros is not affiliated with 401 Advisor. The views expressed are those of Mr. DeShurko and do not necessarily reflect those of Ceros Financial Services, Inc., its employees or affiliates.401 Advisor, LLC currently (12/5/2016) owns shares of Microsoft (MSFT) and Cisco (CSCO) in client accounts.Past performance does not guarantee future results. There is no guarantee that any investment or strategy will generate a profit or prevent a loss.